Approximately two out of three people diagnosed with lung cancer are aged 65 or older, less than two percent are less than 45 years old, and the average age at the time of diagnosis is about 70. From the types and stages to treatment options, learn how to care for lung cancer in the elderly. According to the American Cancer Society, lung cancer mainly occurs in older people. From the types and stages to treatment options, learn how to care for lung cancer in the elderly. Stage 0. Also known as carcinoma in situ, cancer at this stage is tiny in size and has not spread into deeper lung tissues or outside the lungs. Stage I. Cancer is located solely in the lungs and has not spread to any lymph nodes. Stage II. Cancer is in the lungs and nearby lymph nodes or into the chest wall. Stage III. Also known as locally advanced disease, cancer is in the lungs and spread to the lymph nodes in the middle of the chest or to nearby organs such as the heart, trachea, and esophagus. Stage IV. Being the most advanced stage of lung cancer and known as advanced disease, the cancer has spread beyond the lungs, including the fluid surrounding the lungs or another part or organ of the body, including the liver, brain, and bones. Limited Stage. Cancer is found on one side of the chest and involves just one part of lung and nearby lymph nodes. Extensive Stage. Cancer has spread to other regions of the chest of parts of the body. Treatment options are variable and dependent on a number of factors, including overall health, the stage of cancer, and own personal preference. Though treatments for lung cancer in the elderly are individualized, surgery, chemotherapy, radiation therapy, and targeted drug therapy are commonly used or at least considered. Surgery is used to remove the cancer cells, particularly in the lung and surrounding tissues in the case of lung cancer. Though dependent on the progression of the cancer, a small section of or the entire lung may be removed. Mostly used in conjunction with chemo in lung cancer, radiation therapy uses high-energy radiation to shrink tumors and kill cancer cells. Additionally, more than half of individuals diagnosed with small cell lung cancer have the cancer spreading to the brain. Individuals who are responsive to chemo often undergo radiation to the brain to prevent it from spreading. The use of radiation should be fully evaluated in the elderly, mostly validating whether or not the benefits outweigh the consequence. Targeted drug therapies blacked the growth and spread of cancer via drugs or other substances. However, a minority of new targeted agents offers promise of improved outcomes, with negative results being more commonly reported than positive ones. A wide variety of health conditions are more common with advancing age, including high blood pressure, diabetes, and heart, lung, and kidney diseases. Disclose any and all other health conditions already being managed, along with citing all medications used. Oncology doctors and primary care physicians should work in conjunction to strategize and ensure the safest and most efficient plan for the senior. Seniors may worry about getting to and from appointments and treatment sessions. Verbalizing these concerns to support systems can help brainstorm available options, including rides from family members and friends or primary medical transportation services. Also known as ADLs, activities of daily living include shopping, dressing, laundering, and other duties that come with day-to-day life. Senior immobility may already compromise the ability to carry out ADLs, with worry growing greater with a lung cancer diagnosis. 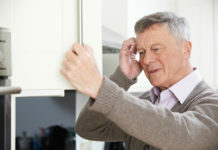 Caregivers and other assistance’s can offer seniors a peace of mind their daily needs can be met. Along with ensuring adequate nutrition in seniors, a good diet is imperative during cancer treatments. Malnutrition is a risk factor the elderly population faces, so it is important to have a plan of action in place. 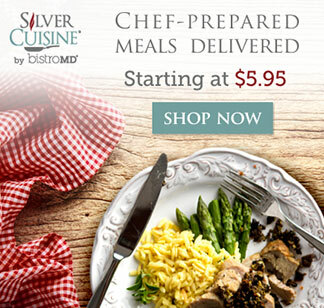 Having relatives help bring meals, keeping stocked with food, and utilizing Silver Cuisine are all viable options to help meet nutritional needs. Though side effects can vary, seniors may be worried about the side effects once treatment starts. 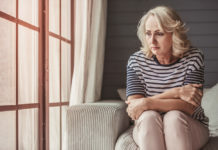 But seniors have every right to feel concerned, as fatigue, dental issues, chemobrain, weight fluctuations and several side effects are likely and at risk. 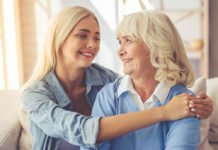 Seniors and caregivers should have this conversation with the healthcare team, as they can help build individualized treatment plans to mitigate such possibilities, or at least assist with coping strategies if the side effects are beyond their control. Seniors and their relative caregivers and family members may be worried about the cost of care. Address these financial concerns with the treatment team, as they can provide resources regarding medical insurance and assistance. 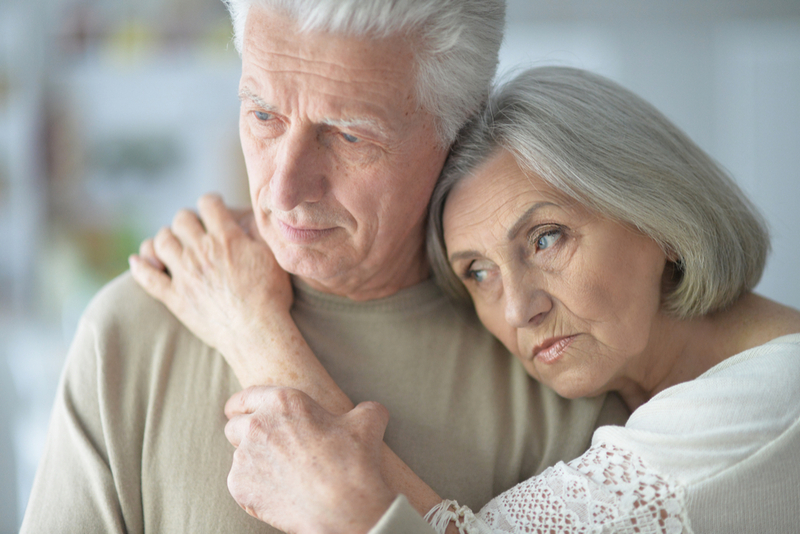 Beyond meeting physical needs related to cancer treatment, the senior and caregiver may be flooded with emotions and worry. Interestingly, though, a diagnosis of lung cancer in the elderly is suggested to carryout varying coping strategies compared to younger individuals diagnosed. According to a research article published in the Journal of Gerontology & Geriatric Research, the variance lies within the resilience older individuals have acquired during a life of facing and mastering stressful situations, successively equipping them with positive coping mechanisms. But despite standing composure, the importance of managing emotions should not be discounted. Seniors and caregivers should consider joining a support group, taking advantage of community resources, or confiding in a counselor. Doctors, social workers, and other professionals on cancer care teams can assist in providing tips and resources to address mental health needs at the beginning of, throughout, and ending the treatment process.